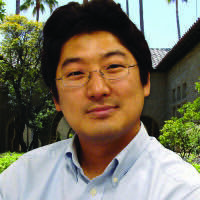 Dr. Paul Kim is the Chief Technology Officer and Assistant Dean of the Graduate School of Education at Stanford University. He leads initiatives involving the design of learning technologies, educational research, and community development. Dr. Kim designs and implements mobile technologies and social learning environments. He is the co-developer and sponsor of SMILE (Stanford Mobile Inquiry-based Learning Environment). He has dedicated himself to international development through education and information technology strategies. Dr. Kim was born in South Korea and received his Ph.D. in Educational Psychology and Technology from the University of Southern California in 1999. He lives in Palo Alto with his wife and two daughters.